Age Groups Champs ‘legacy’ – 1289 athletes! 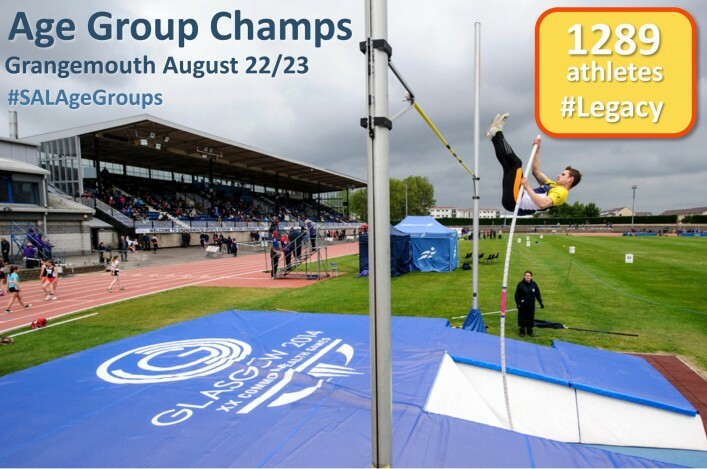 Athletics in Scotland is celebrating a London 2012 and Glasgow 2014 legacy lift – with a huge entry for this year’s Age Groups Championships. 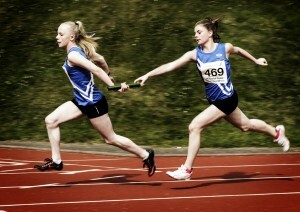 The number of teenagers entered for the national track and field event has more than DOUBLED in the four years since 2011. 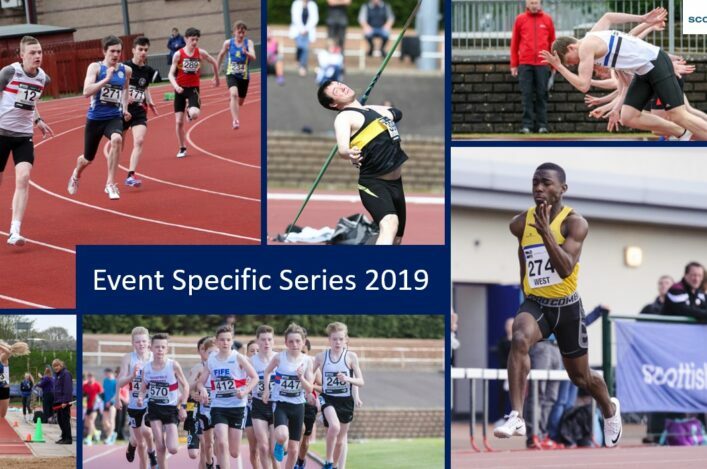 All at scottishathletics are thrilled with the enthusiastic backing of clubs, coaches and parents which has seen a remarkable 1289 athletes commit to the event at Grangemouth on August 22/23 at U13/U15/U17 and U20. That’s a rise of 114 percent on the 600 kids who took part at the same venue back in 2011 – 12 months before the Olympics in London and three years prior to Scotland hosting the Commonwealth Games. Chief executive Nigel Holl believes the Age Groups entry numbers emphatically dispels any suggestions that ‘legacy’ isn’t happening in athletics north of the border. ‘The entry for our Age Group Champs is – quite simply – stunning,’ said Holl. 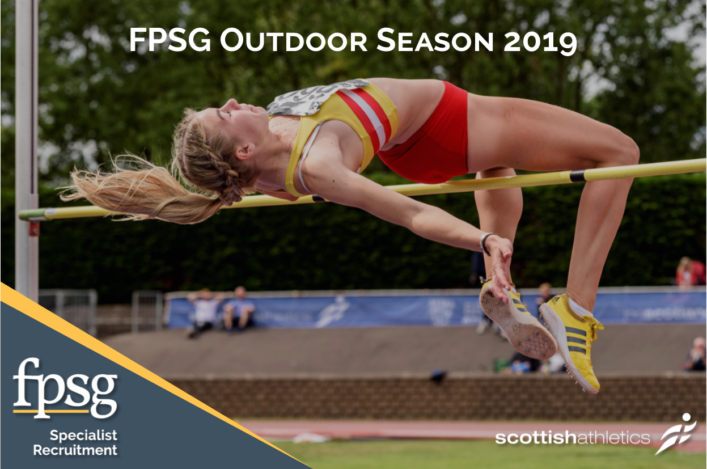 ‘It is a huge credit to clubs the length and breadth of Scotland and to coaches and, of course, to parents who support athletes so much as they aspire to compete at this national level and then international level. ‘It is also stunning in a very important way as we reflect upon the inspiration and legacy from the London Olympics and the Glasgow Commonwealth Games. ‘Whilst others may question the impact of those games in terms of activity levels, I know that the catalytic impact they had within athletics in Scotland had and continues to have a most significant effect. ‘Our membership numbers continue to rise, our events have record entries, our clubs report massive growth and we see the evidence of that in many ways all the time. ‘So, if people ask me ‘has athletics seen a legacy of the Olympics and Commonwealth Games?’, I would invite them to come along to Grangemouth on August 22/23; I would urge them to visit a club on a weekday evening,; and I would encourage them to see the footage of our National XC C earlier this year. ‘The evidence is there in athletics in Scotland – if you want to see it. In terms of the Age Groups figures, we have details of around 600 athletes delivering 890 event entries in 2011 at Grangemouth. The event entries number for 2015 is a staggering 2150. There were around 900 athletes entered for the Age Groups last year in Aberdeen and 1097 for the indoor Age Groups event at the Emirates earlier this year. ‘I think legacy shows in two other obvious ways,’ added Nigel. ‘One is the impact on the aspirations of our elite athletes; we had a very large team in the Glasgow Games which has now been followed by seven athletes representing GB at the World Championships. That’s wonderful – a huge credit to them and their coaches; but definitely in part inspired and motivated by the 2012 and 2014 experiences. ‘The other legacy that stands out – the physical one that our athletes will experience at Grangemouth (and also at Crownpoint in Glasgow) where the track surfaces from Hampden and Lesser Hampden have been re-laid to provide a superb facility that athletes of all ages can enjoy. ‘Our teenagers can look to perform on that track, or in the field, and bring their own athletics dreams to life. ‘Let me once again stress our thanks to everyone involved. By that I mean those who have taken the trouble to enter and the clubs and coaches working so hard to develop these young athletes. We appreciate that great support. ‘Clearly it is going to mean long and hectic days on August 22 and 23 and ourselves as organisers and our dedicated officials will face challenges – I am sure everyone will rise to the occasion as they always do. I’d ask for your help and patience on those days.